Paraguay is still largely undiscovered by travellers, but those who make their way here are delighted by the country's distinctive culture and strong indigenous features. A bilingual nation, with Guarani spoken alongside Spanish, its folk-dance tradition is hugely popular among young people; its harp playing is legendary; and, Paraguayans are proud of their different handicrafts, particularly their sewing. The country is also home to the historic Jesuit missions, or reductions (as depicted in the film "The Mission"). 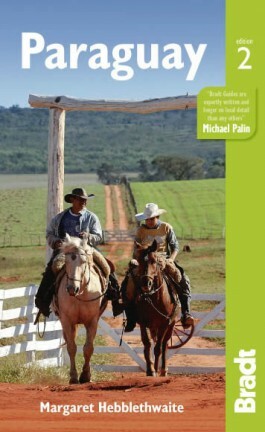 Bradt's "Paraguay" - the only English-language guidebook to this emerging tourism destination - covers the region with unrivalled detail and knowledge. It delves deep into a country that has so far eluded the grasp of mass tourism and where rich indigenous culture and folk traditions still hold strong. Margaret Hebblethwaite is an established journalist and broadcaster,and author of several books on theology and the Catholic faith. She has lived in Paraguay since 2000. Kleine uitgave van de alom gewaardeerde Footprint guides: goede gidsen met veel praktische informatie als hotels, restaurants, openbaar vervoer en musea. Ook gedegen culturele achtergrond informatie. De informatie uit deze gids komt uit het Zuid Amerika handboek van Footprint. Walk around Asunción's historic centre and admire the grandeur of colonial-era buildings like the Palacio de Gobierno, styled on the Palace of Versailles, before hitting market stalls selling traditional arts and crafts. Paraguay is an under-explored pocket of South America, boasting rich wildlife, lush forests, and mighty rivers. This land-locked country is home to a proud Guaraní culture, as well as the 16th-century Jesuit Missions, which are now a UNESCO World Heritage Site. 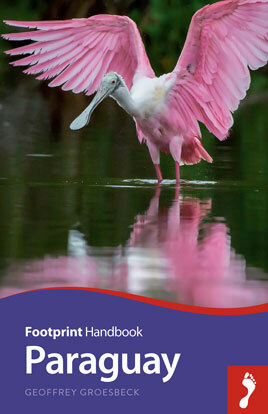 Footprint's Paraguay Handbook is a concise and portable guide to this friendly country, containing detailed information on attractions that are both popular and off the beaten track. Comprehensive listings on where to eat & sleep, plus details on festivals and activities. Detailed street maps for Asunción and other important towns.